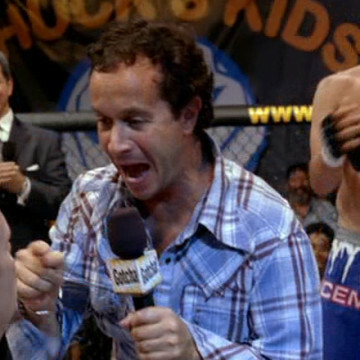 Pauly Shore appears as himself in three different Entourage episodes, first offering a cameo in S02E03, Aquamansion. As with many of the real-life B-list performers featured in the series, Pauly plays a longtime acquaintance of Johnny Drama’s. It is implied that the relationship between the two is a bitter one as many of the scenes that both characters appear in result in an altercation of some kind.